CHENNAI: They have sold over 1,000 menstrual cups across the country since August 2016. 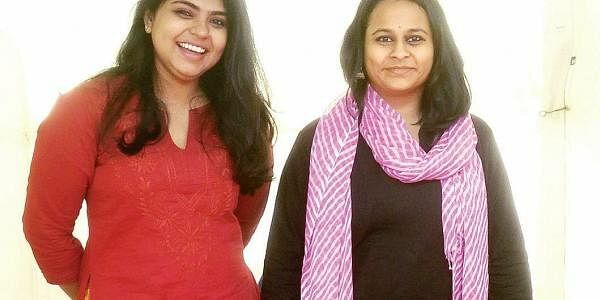 Sonal Jain and Bharti Kannan, founders of Boondh, have been working on turning women to ‘cupverts’ — use cups over tampons and pads for a healthier lifestyle. Awareness about menstrual cups is still rare in India and whatever exists is largely aimed at the educated, progressive thinking young women from upper middle class. Boondh wants to reach out to the other 88% of menstruating population in India who do not have access to any options. What prevents women from trying menstrual cups? We often hear women say, ‘Oh my goodness, the cup goes inside?’, bewildered how one could insert and remove the same cup and feel comfortable wearing it. This would always be combined with the ‘ick’ factor of handling blood and believing that pads are the way to good hygiene. Markets are also not conducive to help support and propagate reusable products, especially consumer goods. Innovative business models are then required to not only get cups out into markets but get them out with great marketing as the product is far from being mainstream. In an effort to make this paradigm shift, we have had customers, and even us, converse and engage with gynaecologists, who either did not know about cups, or dismissed it point blank and suggested even if one does use it, one has to be married! What’s the stigma around insertables? Stigma is primarily around virginity. Boondh addresses the vestigial status of the hymen, and how a patriarchal society has determined the existence of a tissue as a signifier of chastity or purity or character in a woman’s body. After just an enquiry, it is still the choice of the person to decide to either identify with the term ‘virginity’ or not or deem it to be notional. Apart from these workshops, what other ways are you looking at? Boondh has been working on a New Year’s Resolution Theme-based campaign on social media, termed #cupvertthis2017. This has been the first official campaign Boondh launched. We have a lot of exciting campaigns lined up this year. Some of these campaigns will challenge the age old tax norms on menstrual hygiene products, deeming them as luxury products. Others will work with men to emphasise and explore together how menstruation is not just a women’s issue. What kind of research have you two been involved in? We review work of other organisations in the space. Other than that, our survey among 350 females showed that there is a 0.381 probability of conversion towards a menstrual cup. We are also working on projects surrounding health, specifically public health, to understand the consequence cups may have on either gender. We work on the principle of gender neutrality and aspire to work with all menstruating populations, including differently-abled and trans-people. Can’t you advertise through TV?? Sure, yes. However it requires huge expenses and most menstrual cup makers and sellers are unable to afford them because they have to acquire a new customer every time. Our goal is to create an equitable and healthy menstruating world and we anticipate a 20-50% conversion rate of what we term as ‘cupverts’.